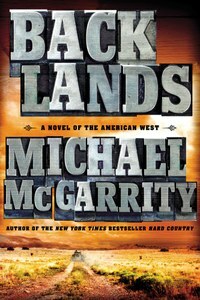 Review of “Backlands: A Novel of the American West” by Michael McGarrity. New Mexican writer Michael McGarrity is perhaps best known for his crime novels, but his 14th book, Backlands, reads more like a biography of an era in his state’s history. Bracketed by the two World Wars, Backlands –– the second volume in a planned trilogy about the Kerney family –– unspools in an arid time of deprivation and loss, brightened by moments of love, lust and occasional luck. A sepia-toned map titled The American Southwest, 1930 prefaces the text, marking the landscape of the Kerneys’ lives, primarily in the Tularosa Valley. Emma Kerney, a divorced mother, land speculator and sometime invalid, is a tough Western woman with little regard for propriety. Determined to control the future of her younger son, Matt, even as she is dying, she alienates the boy’s father, Patrick, a rancher with his own ideas about manhood. Matt’s older brother, CJ, died during World War I, and his shadow casts a lasting darkness on the younger boy’s plans. What Emma cannot control or predict, however, is the loss of her fortune in the 1928 crash that brings on the Depression, or the Dust Bowl that turns the lush Tularosa Basin into a thirsty, economically starved landscape. 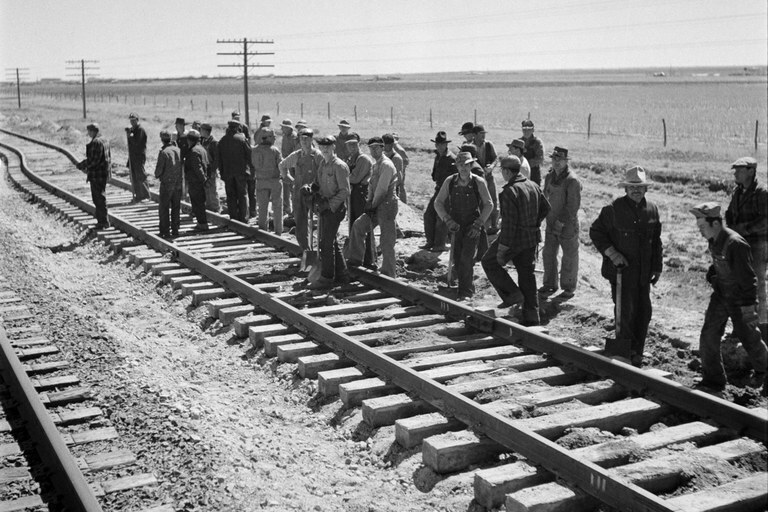 A section gang works on the outskirts along the Atchison, Topeka and Santa Fe Railroad between Clovis and Vaughn, New Mexico, 1943. Jack Delano, FSA - Office of War Information Collection , Library of Congress, LC-USW3-020633-E. Describing the pre-drought, pre-industrial years, McGarrity writes, “Under a clear blue sky, with the desert in full bloom from recent rains, the white gypsum dunes sparkled like diamonds and the Sacramento Mountains rose in sharp relief, hard and foreboding against the horizon, with the distant Sierra Blanca shimmering through the heat waves rising from the basin floor.” But the railroad brings an irrevocable transformation. Although the secondary characters tend toward the two-dimensional, Matt and his difficult father transcend stereotype and compel empathy. Plot defers to chronology in this historical portrait; we know that wartime prosperity will follow worldwide depression, Axis victories will be succeeded by Allied triumphs. Yet readers will be waiting eagerly for the next volume to carry the Kerneys into the 21st century.